Bea Baylor has a mission to inspire women to help them reach their potential and purpose through teaching, conferences, workshops, networking, professional coaching and building...Read moreBea Baylor has a mission to inspire women to help them reach their potential and purpose through teaching, conferences, workshops, networking, professional coaching and building one business and nonprofit at a time. Her memoir, “Rise Up” Take Charge- Overcome- Succeed reflects on her own personal journey as she shares her motivation for inspiring and teaching women to know authenticity and truth on both an intellectual and personal level by using their untapped power that is within their soul. Her passions include empowering and equipping women and men to believe in their inner ability to start wherever they are and “Rise Up” to their true calling and purpose. Ms. Baylor loves to lead women on an awesome and delightful journey of healing, seeking, finding, and growing in Christ is her true calling. Her work incorporates leadership skills, education, business strategy, business development and building a legacy from her own life experiences. She draws others into a lifelong pursuit of knowing the power that exists within and to seek their inner vision of excellence. 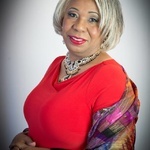 Ms. Bea is the founder and CEO of Baylor Consulting Firm LLC. The firm is a full service international business consultancy firm. Ms. Bea is proud of the nonprofit university, which provides leadership seminars, education to assist small business owners and nonprofits executives. She provides her clients with a strategic plan to highlight their business development skills and a roadmap to increase knowledge to become more profitable and maintain sustainability in their mission.